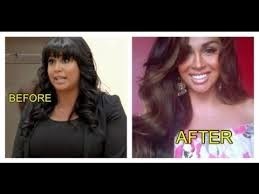 If you know watch 'love and hip hop' i'm sure you would know Somaya Reece. I recently found out about her and was really amazed at her transformation. I have been following her on instagram and she has really been motivating people and helped transform a lot of lives in a healthy way. She started eating clean, no junk food, no fried foods lots of fruits and veggies. She takes protein shakes for breakfast. She went from size 18 in 2011 to a size 8 recently. Yes, she's a celebrity but the point is, she found the time within her very busy life to make a change and feel better about herself. I personally think shes an inspiration. What do you think?